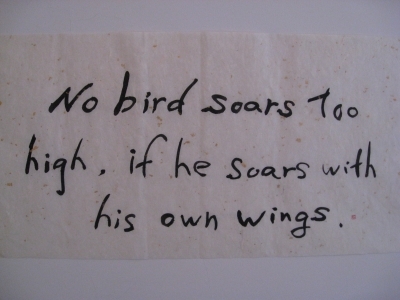 This , "No bird soars too high, if he soars with his own wings. ", is Mr.Christian Bulich's favorite words. He comes from Germany and is in his 20's.